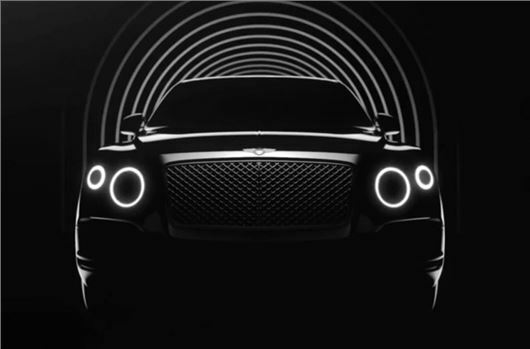 Bentley has released a video which previews its first ever SUV, due to be launched in 2016. The brand has already shown a concept - the rather ungainly EXP 9F - which was unveiled at the Geneva Motor Show in 2012. But now we're able to get more of an insight into what the production car will look like. Although the video doesn't give too much away it does show that the new SUV will get many similar styling cues to the latest Flying Spur with similar rear lights while the headlights echo the the larger Mulsanne. Like the rest of the Bentley range it has smooth lines plus that trademark grille. The new SUV is yet to be named but it will go into production in 2016 and will be built at the firm's Crewe factory. As with any Bentley it will be handmade with a luxury interior and immense attention to detail. As well as conventional W12 and V8 petrol engines there will also be a plug-in hybrid available from 2017, a first for Bentley.